Dave Filoni recently did an interview with the LA Times Hero Complex just before the New York Comic Con panel, where he shares some more details about what we can expect to see in Star Wars Rebels, as well as if it will tie in to The Clone Wars at all. Here is a portion of that interview. Hero Complex: Fans were really disappointed by the cancellation of “Clone Wars.” Will there be any wrapping up of storylines in “Rebels” or are you wiping the story slate clean? Dave Filoni: The good news is there are several episodes of “Clone Wars” the fans have yet to see. I’ve finalized the remaining episodes and I think they will really please the diehard “Clone Wars” fans, especially the story arc with Master Yoda — that one is critical to the bigger picture. “Star Wars Rebels” will be its own series with its own characters. That’s not to say characters from other “Star Wars” media couldn’t make an appearance in the series, but “Rebels” will be distinctive for its own new characters and relationships. Hero Complex: “Clone Wars” told a story on a very broad canvas with a large number of characters acting as the leads. Will that approach continue with “Rebels” or will there be a core group featured in every episode? Dave Filoni: “Rebels” will be different from “The Clone Wars” in a couple ways, and one is the decision to stick with one story and one main group of characters. We wanted fans to get to know the new characters and what they are fighting for. Each episode has its own unique story, while still fitting into the much larger picture of what is going on in the “Star Wars” universe. “Rebels” will tell the story of a group of characters, in this way it is more like the original trilogy which followed Han, Luke and Leia, where the prequels showed us the grand scale and political as well as personal. Hero Complex: Are you operating completely independently from the feature film group or is there some measure of coordination? 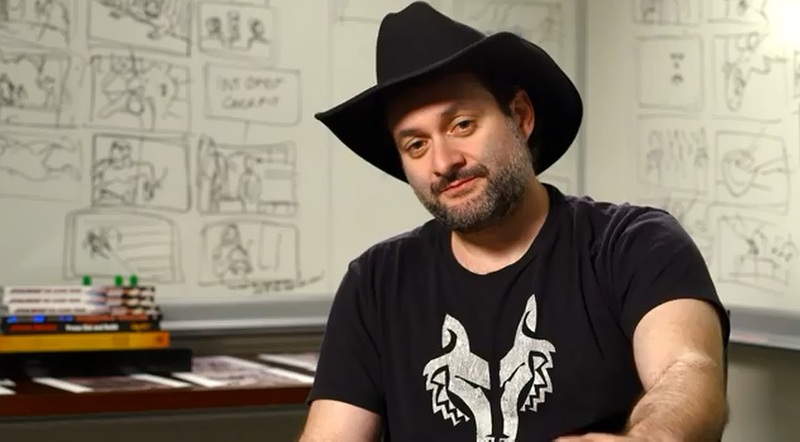 Dave Filoni:There is a large effort at Lucasfilm to make all the stories we are creating relate to one another and find continuity with one another. It’s one of the really exciting developments in this new era. To check out the full interview with Dave, as well as an exclusive new piece of concept art featuring a Star Destroyer and some TIE Fighters, head on over to Hero Complex.